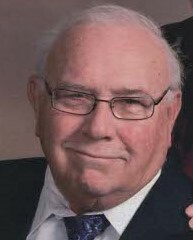 Ronald J. Coolican, 74, of Oneida, passed away Tuesday, June 26, 2018 at his home, with his family by his side. He was born November 20, 1943, in Syracuse, the son of the late Frank and Ruth Hoffman Coolican. He was a graduate of Most Holy Rosary High School and Simmons School of Mortuary Science, both in Syracuse. On September 9, 1967, at St. Ann’s Church, Manlius, he married Mary M. Wilkins. Ron was a caring and proud Funeral Director and owned Coolican-McSweeney Funeral Home in Oneida for 48 years. Prior to that, he worked alongside his father and uncle at Coolican Hearse Service in Syracuse. Ron was also a school bus driver for the Oneida City School District for many years. Ron was a parishioner of St. Joseph’s Church, was a member of Knights of Columbus Council #473 and its Fourth Degree Assembly, Tri-County Funeral Directors Association, Owls Nest #1606, Citizens Hose, the SAL of American Legion Post #169 and was a member and Past Exalted Ruler of Oneida Elks Lodge #767. Ron was a lifelong sports fan, in particular an avid fan of SU basketball and the New York Yankees. He volunteered as an announcer with the Oneida Pop Warner program and provided ambulance service for Oneida High School football games and various games throughout the area. He was well loved and always the life of the party and he cherished his family and friends. He was affectionately known as “Papa Ron” by many of his children’s friends. He is survived by his wife of 51 years, Mary; three children, Jean M. Coolican of Oneida, Andrew P. (Michelle) Coolican of Vernon and Daniel J. (Katie) Coolican of Sherrill; four grandchildren, Lukas Alter, Molly Coolican, Tristen Coolican, and Emily Coolican and also Haley Surprenant, who was like a granddaughter to him; two brothers, J. Richard (Pat) Coolican of Jupiter, FL and Edward Coolican of DeWitt; two sisters, Barbara Paul of Camillus and Nancy Detor of Westvale; and many nieces, nephews and special friends. A Mass of Christian Burial will be celebrated Tuesday, July 3 at 11 AM at St. Joseph’s Church, Oneida with Rev. Richard J. Kapral officiating. Interment will be in St. Patrick’s Cemetery, Oneida. Calling hours are Monday, July 2 from 4 PM to 7 PM at the Coolican-McSweeney Funeral Home, 322 Washington Ave., Oneida. There will be an Elks Ritual performed prior to calling hours at 3:30 PM and a Knights of Columbus prayer service at 3:45, for those members wishing to attend. Donations in memory of Ron may be made to Hospice & Palliative Care, Inc., 4277 Middle Settlement Road, New Hartford, NY 13413, St. Joseph’s Church, 121 St. Joseph Place, Oneida, NY 13421 or St. Patrick’s School Scholarship Fund, 354 Elizabeth St., Oneida, NY 13421.